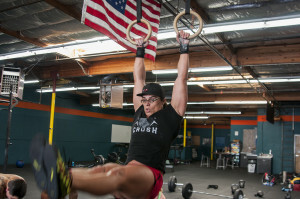 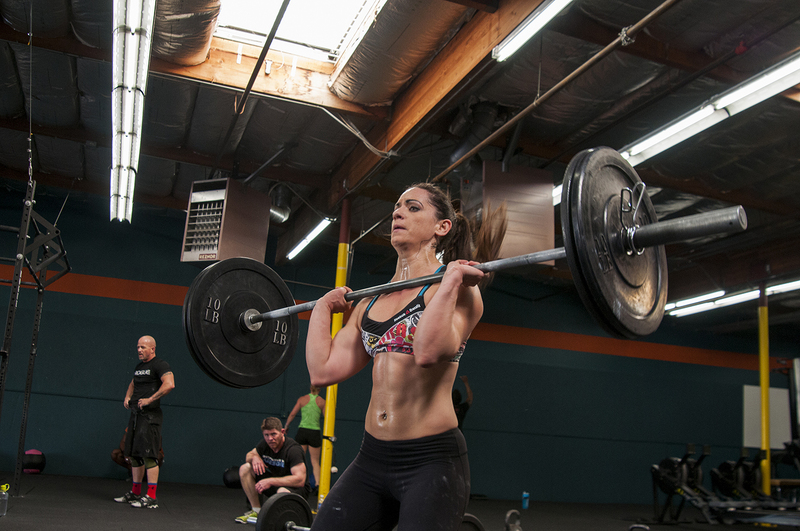 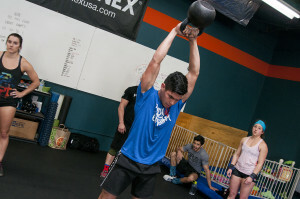 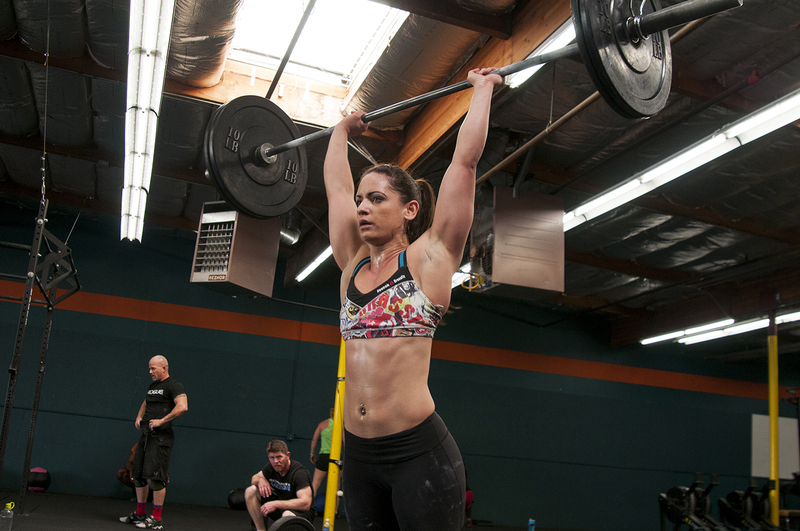 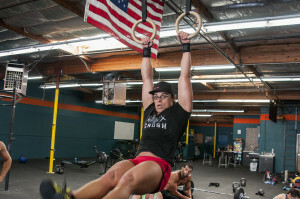 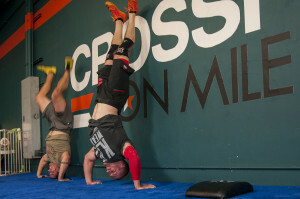 It’s no surprise that Crossfit Iron Mile is a breeding ground for top level competitors and athletes. 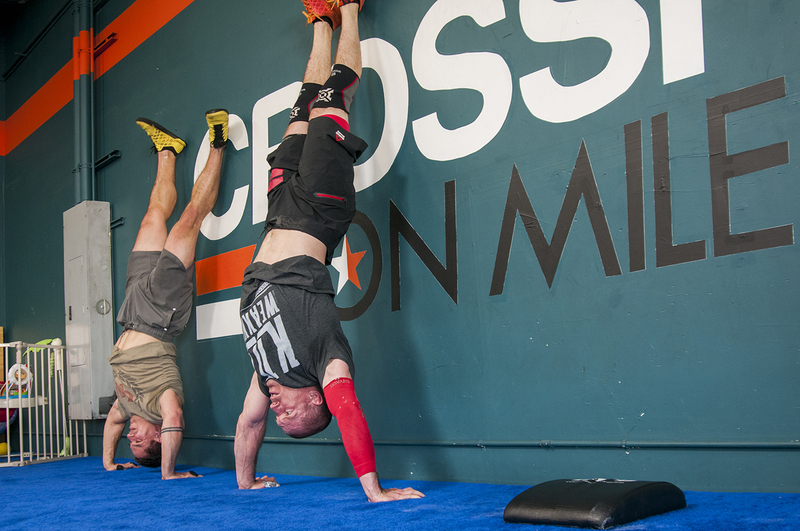 Now that the Crossfit Games season is upon us, Iron Mile has turned it’s Monday Afternoons to be the training ground for local athletes. 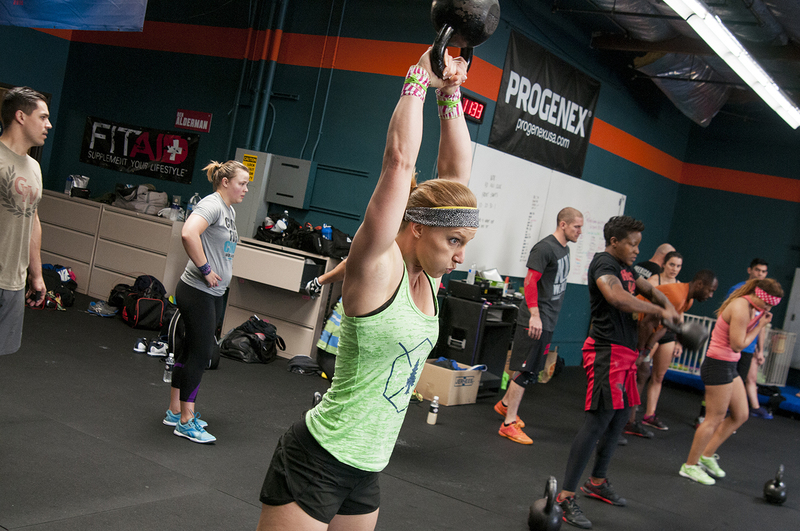 This Past Monday, Crossfit Anywhere‘s Blair Morrison & Friends joined in a friendly 4 vs. 4 Competition. With 4 teams of the best from both gyms, It was something truly unique. 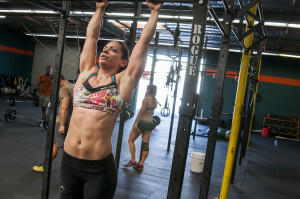 3 Workouts, 10-15 minutes in between events. 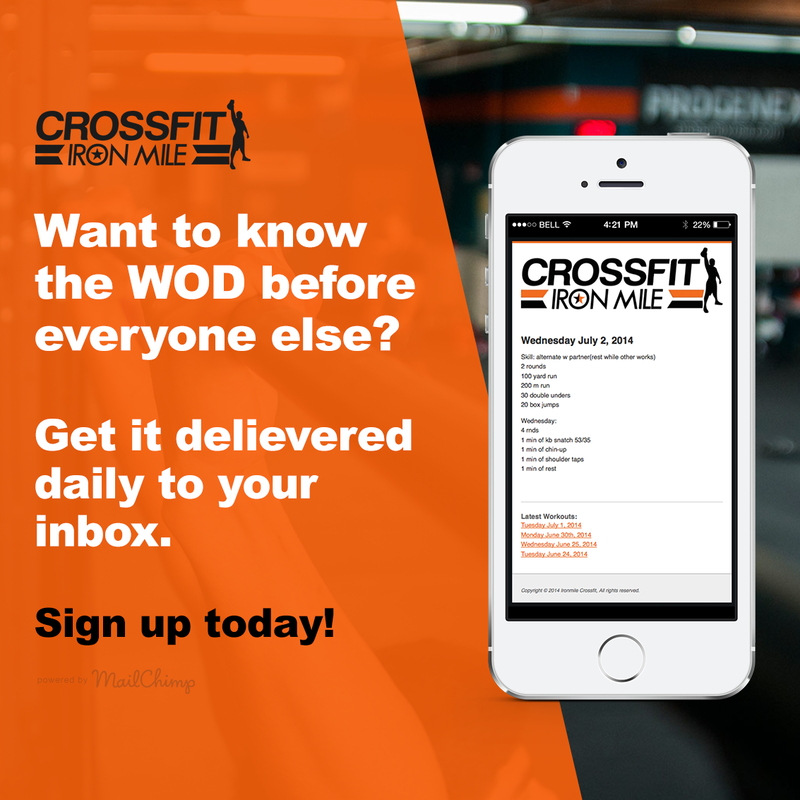 You felt like it was a 2 day weekend competition in 2 hours. 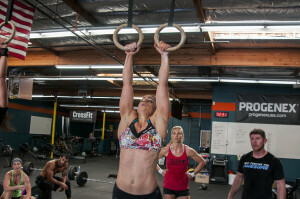 Jenn from Crossfit Anywhere starting off the first workout – a KB / Double Under Sprint Relay. 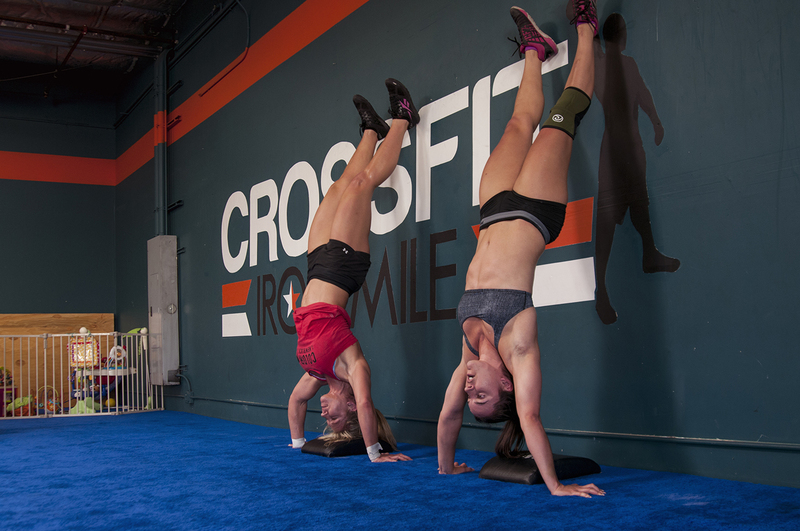 In a picture perfect moment, Stefani (Anywhere) & Mariah (Ironmile)square off in a strict handstand battle. 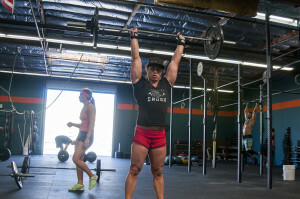 Iron Mile‘s own Amber makes easy work of the 15 rep push press. 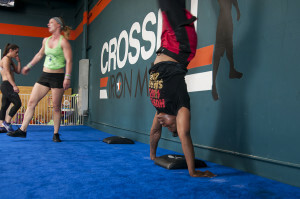 Killing Weakness, Blair Morrison fights through his first handstand pushups after several weeks resting an injured elbow. 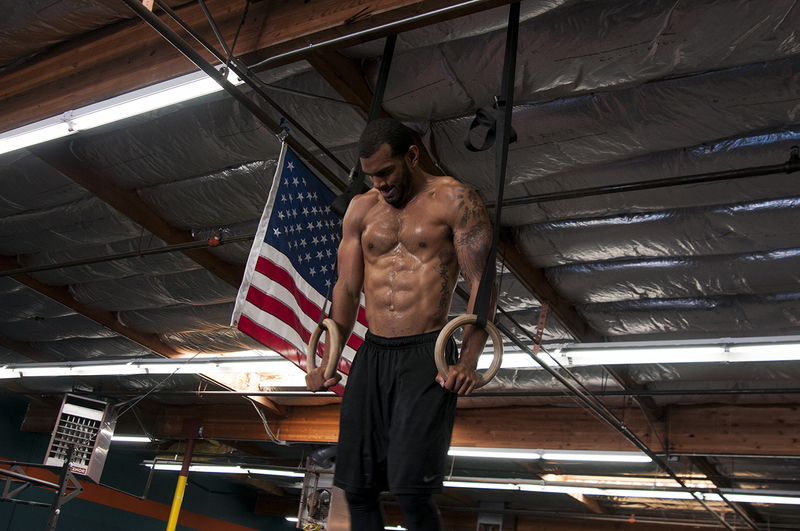 Muscle Ups, on top of Muscle ups. 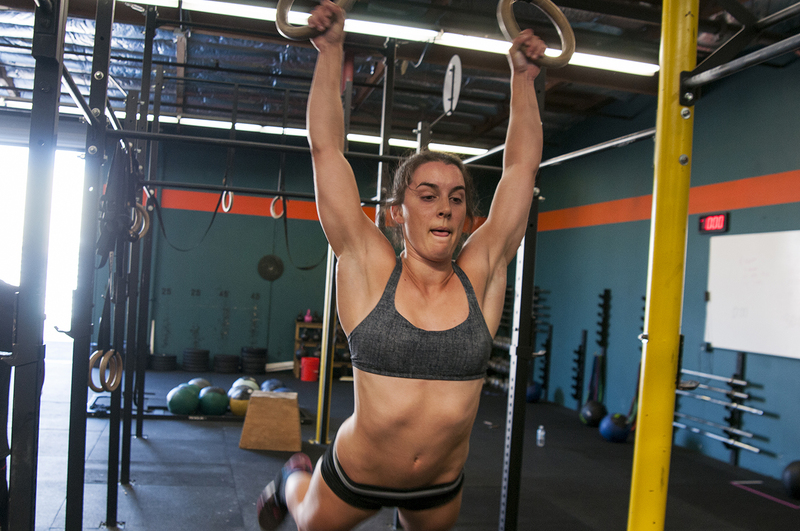 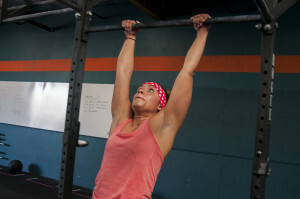 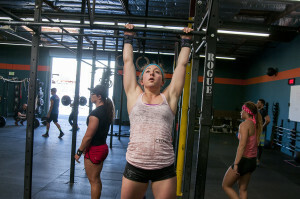 Iron Mile‘s Devin & Mariah make it look easy, as they fight through Burpee Muscle Ups. 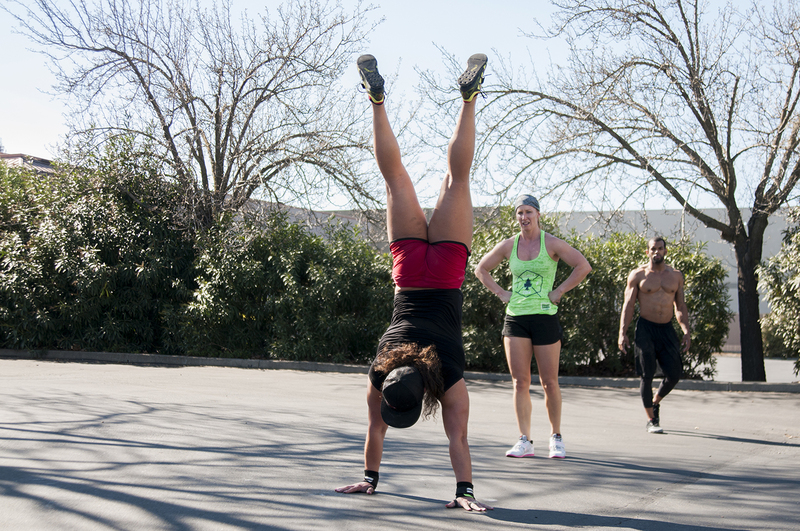 Crossfit Anywhere‘s Hannah makes handstand brings the sun out, in her final stretch back to finish the day with Handstand walking.